Asian American actor Lee Doud will speak about being a mixed-race, gay actor at the University of Illinois at Chicago. The discussion is in partnership with the Asian American Resource and Cultural Center as part of Asian American Awareness Month. 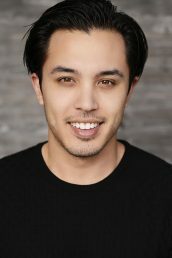 Lee Doud who has starred in the movie “KTown Cowboys” and has appeared on the TV shows “Last Man Standing,” “Dark/Web,” “House of Lies” and “Californication” will be discussing being an Asian American actor in Hollywood. In addition, Doud will discuss a commentary he wrote in the Advocate, a LGBT-interest magazine about his experiences with anti-Asian sentiments on gay dating and hook-up apps and the impact on the gay community. Doud will also focus on his experiences in Hollywood as an Asian American, examine historical influences on “Asian-ness” and discuss the modern Asian American dating experience. A question and answer session will follow. The event is free and open to the public. The Asian American Resource and Cultural Center is one of seven cultural centers at UIC with distinct histories, missions and locations that promote the wellbeing and cultural awareness of underrepresented groups. The aim of AARCC is to expand the cultural understanding of Asian Americans by providing opportunities for cultural engagement among students, faculty, staff, and Chicago communities. For more information about AARCC or this event, visit http://aarcc.uic.edu or email aarcc@uic.edu.